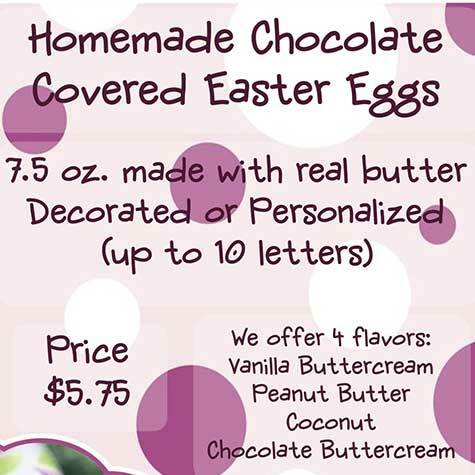 Homemade Chocolate Covered Easter Eggs, all decorated. They can be personalized for FREE too. The Bunnies have organized their ingredients and await your orders.